When Wendy from North Bay, Ontario wrote to say she had finished her Maritime Beauty from the kit she purchased from Mrs. Pugsley's Emporium, she really meant FINISHED. 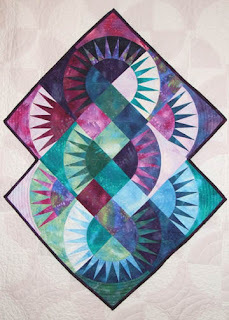 I figured she meant the piecing, but she's got it quilted, bound and hanging on her wall. It's beautiful! I love how her quilting makes that gold cross in the centre stands out so prominently- it's looks very medieval. Wendy writes: I am in love with it. When I buckled down to it, it was finished in a week...Thank you also for the detailed quilting suggestions. This is my 3rd completed project and my Christmas one is on the table, finally. Pretty impressive for only her third project! Wendy shared another on this blog awhile back. Please make sure you leave a comment for Wendy. We understand that Kate is working on hers at a retreat this weekend, so hopefully there will be another to share soon. Don't forget that we are approaching the end of the first week of the Mirror Ball Dot Blog Hop and Mark will soon be drawing for winners of some luscious Fat Quarters of this unique fabric. Make sure you leave a comment on his blog, The Mad Hatter of Maui, to get yourself entered for the draw. 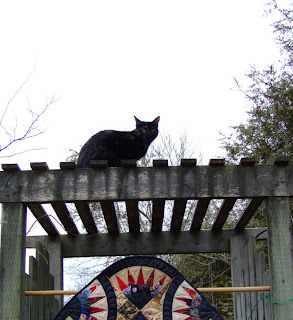 Way back in October 2011, Kate Seely from Ontario, Canada contacted me to ask permission to translate one of my quilt designs into a hooked mat. This is not such an unusual venture, as our grandmothers often traced traditional squares and triangles into geometric patterns onto burlap to hook with strips of wool. 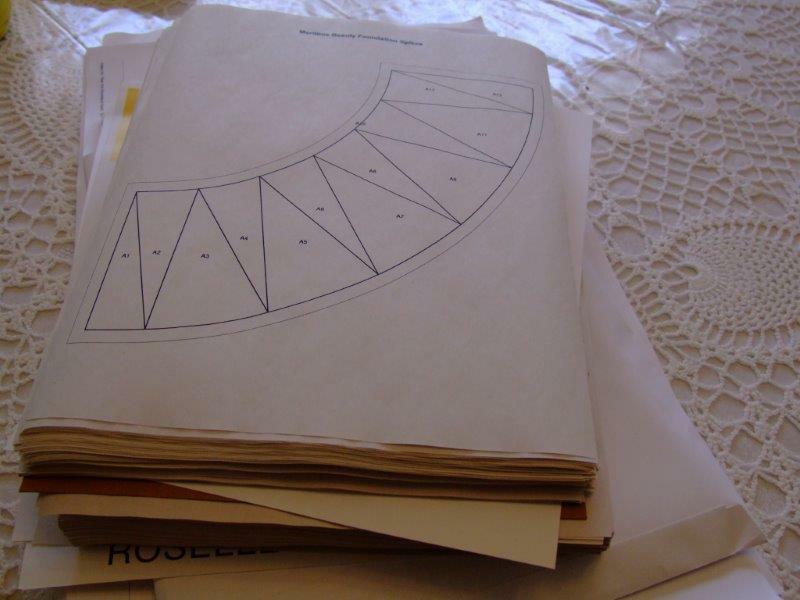 Kate however was proposing to do a more modern design, one with curves and spikes: New York Roundabout. 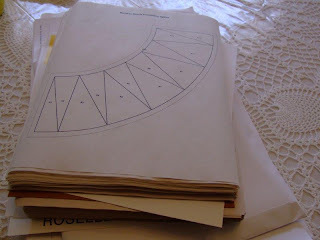 Here's her traced design. I bet that was no small thing Kate, to draw those curves smoothly. You did an awesome job. A couple of months later, she sent us an update on her progress. What an unexpected surprise to open my mail yesterday and find pictures of her completed rug. Wow! I am really taken with the way she filled in the sides, the space between the arcs. 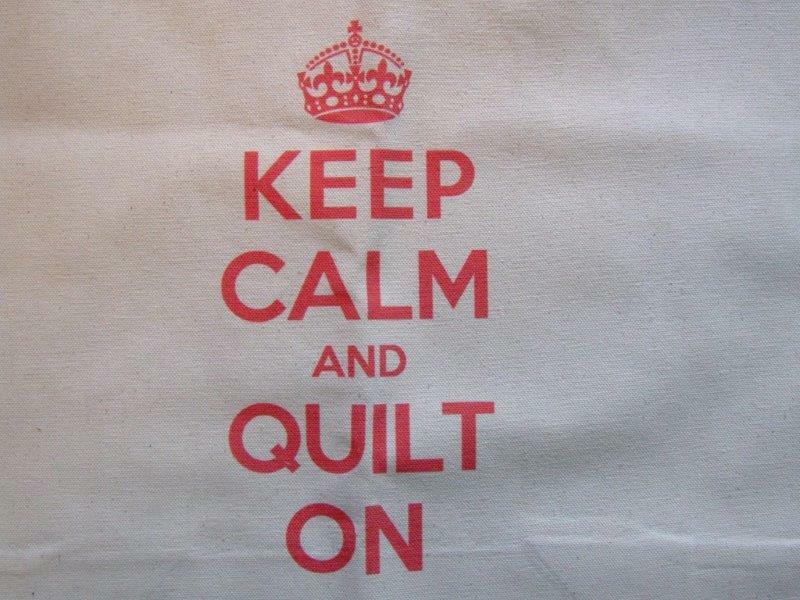 I will remember that for a future quilt. It gives a great shape to the finished piece. Kate writes: "It’s going on the floor in front of the fireplace. It’s 44” from tip to tip and 25.5” across – just the right size." Look at her label - how sweet is this?! Please leave a comment and a bit of applause for Kate, she has worked cleverly, creatively and very diligently on this masterpiece. The list is up! You can read the names of the winners here. Congratulations to all, especially Renae Haddadin and Karen Kay Buckley who received Best Of Show. Even though Roundabout Again is not on the list, I am still thoroughly thrilled it gets to hang out with all these awesome quilts, and hope that folks visiting the show will enjoy seeing it. Lynn and Gaile: I am looking forward to your pictures! 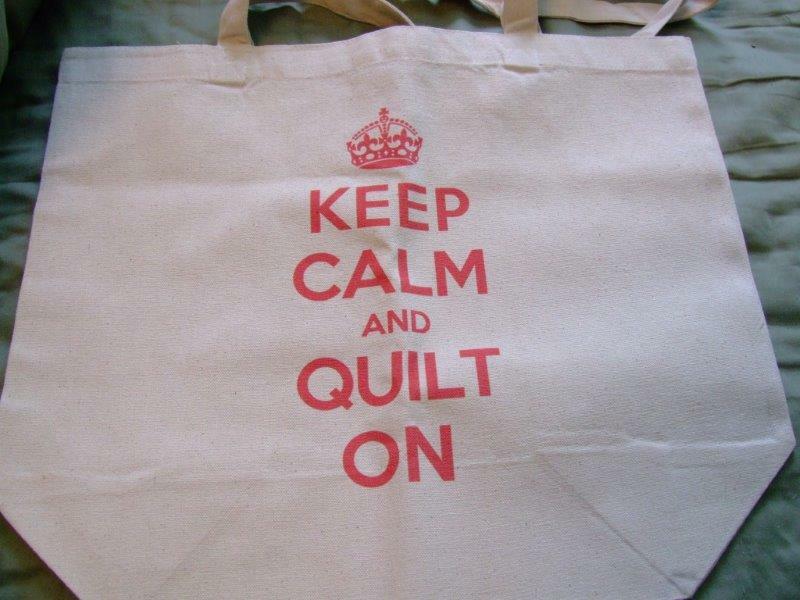 From the amount of email I received after this post, I'd say I hit a nerve with quilters who are frustrated with free motion quilting. I felt encouraged to continue on and quilt this piece entirely with the foot on and the feed dogs engaged. To this end, I consulted Linda H of Stitch Lines, who teaches machine quilting. 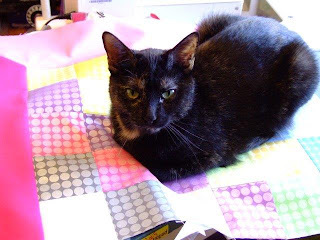 She agreed that there are many who just want to quilt with a foot, and there's certainly nothing wrong with that. We tossed around a couple of ideas to use on this piece. Thank you Linda for your valued input. The cross-hatched 1" grid on the circles came out looking pretty spiffy, if I may say so, but the bare spot in the centre was needing something more. I found a can lid the right size and traced a circle. For the spaces between the spikes I removed the walking foot and simply used my regular 1/4" foot. This was the part I had groaned about to Linda, as I felt it would take forever to stitch it this way compared to stippling. 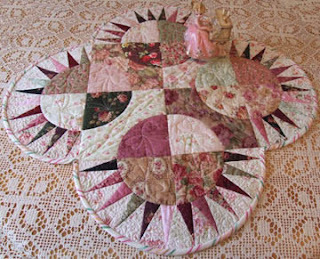 However, because it was on the outer edge of the centrepiece, it was very easy to turn the quilt on the machine bed and it took no time at all to stitch. I did a double row to outline the spikes, and it really makes them stand out. Here's how it looks finished. 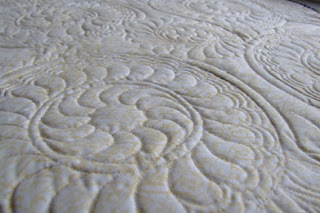 The quilting shows so nicely as I've used one of my new Legacy wool batts. 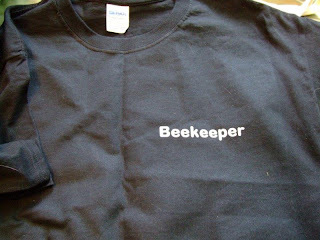 On the back is a plain, soft yellow solid cotton. This piece is ready now for my May 4th workshop; at that time I will add the binding. If you've been stumped as to how to quilt your Maritime Beauty, perhaps you will find some inspiration here. The Mirror Ball Dot Blog Hop starts today! 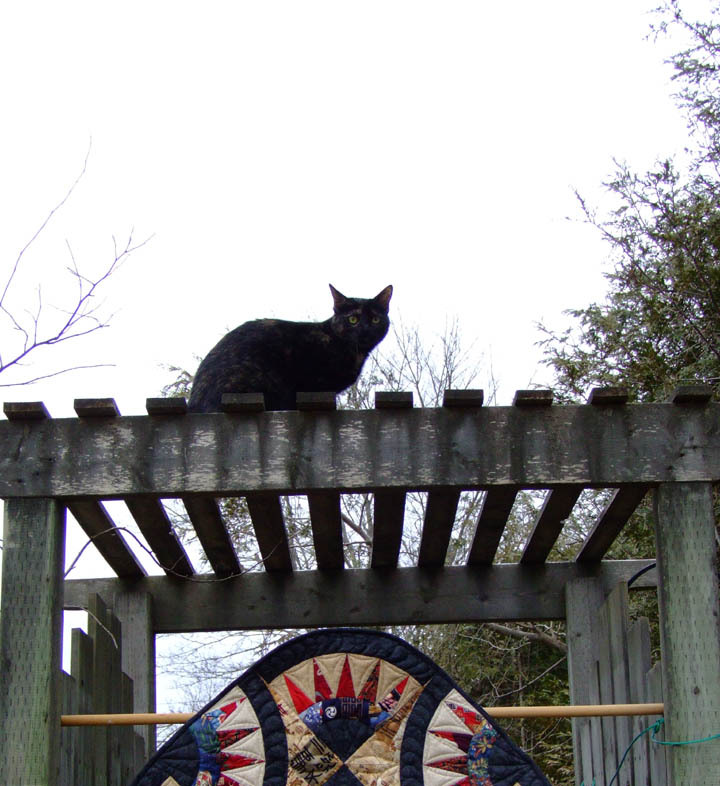 The latest Maritime Beauty is basted and I took a day to ponder how to quilt it. This piece will be used as a workshop sample and, as tempting as it is to cover it in glorious feathers, the truth is that not everyone is comfortable doing free motion quilting. 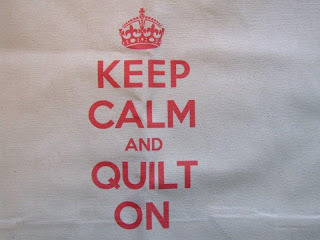 Often calling ourselves quilters can be a bit of a misnomer as many of us piece...but hand the actual quilting off to someone else. It's one thing to conquer foundation piecing the spikes and sewing the curves of a New York Beauty, and quite another to figure out what to do next. 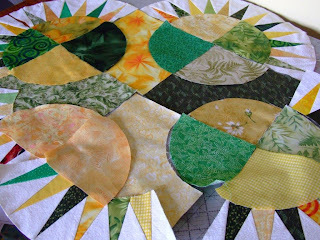 It isn't much encouragement to a beginner quilter to say, "oh, just add some free motion stitches - it's easy!" It isn't easy. 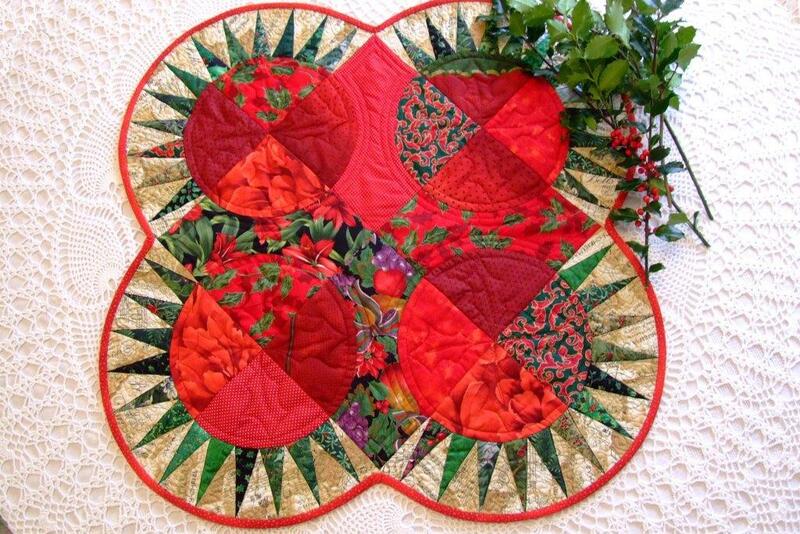 I've sewn a good many of these pieces and have quilted every one of them a different way. 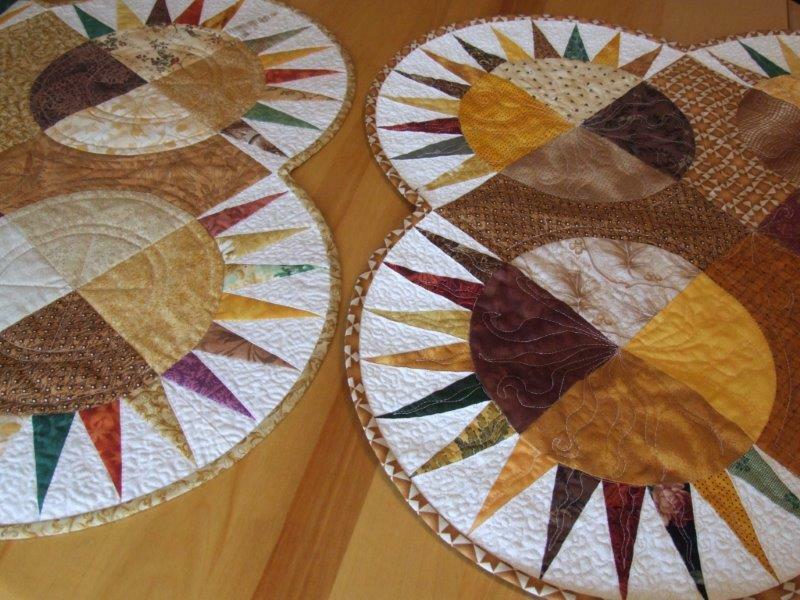 Looking back, they are pretty much a testament to my progress as a machine quilter. The one on the left below is my original version; it lives on my kitchen table and has been washed a good many times. 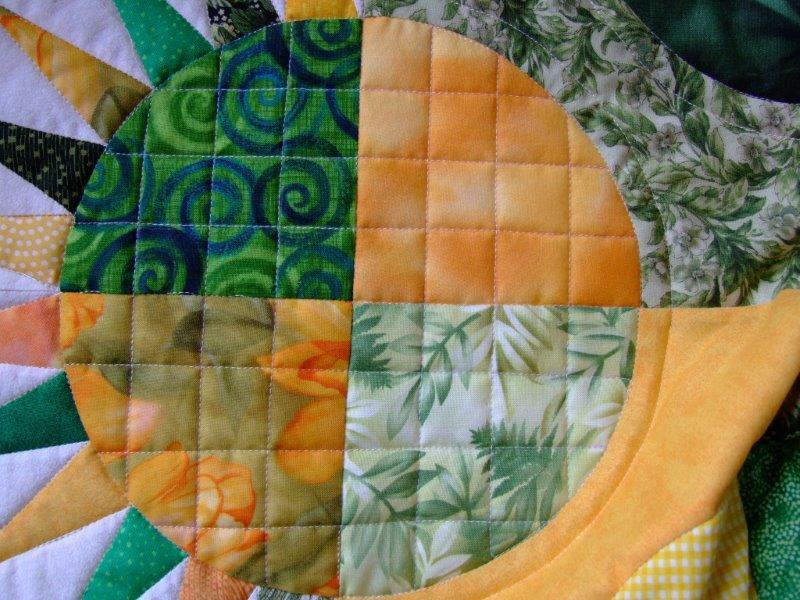 It is quilted in circles using a walking foot, with all the seams outlined 1/4" away. The only free motion on this piece is the bit of stippling between the spike points. 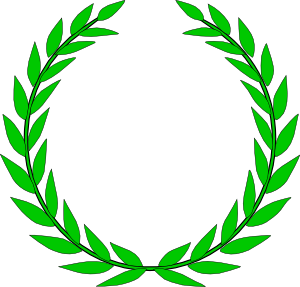 As simple as it it, I love how the circles show up; when I sit at the table, I have the urge to place something in each of those pronounced round spots. The picture on the right shows a later version, made in a similar colourway. There are squiggly lines that almost look like tendrils stitched free motion in the centre of each circle and in middle. 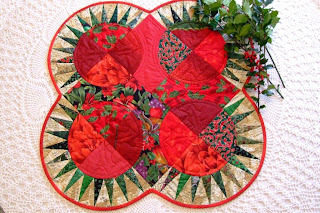 When I made a Christmas version, I free motion quilted holly leaves in each circle. It was a big step for me to do this and I felt really proud of this accomplishment! It gave me the courage to quilt dainty bows in this floral version. Across the centre I even attempted to add a twisted ribbon. The striped binding makes this piece; it reminds me of peppermints. I can remember how excited I was to find it at dayle's, as it complemented these Robert Kaufman prints so well. Back to the Maritime Beauty at hand. 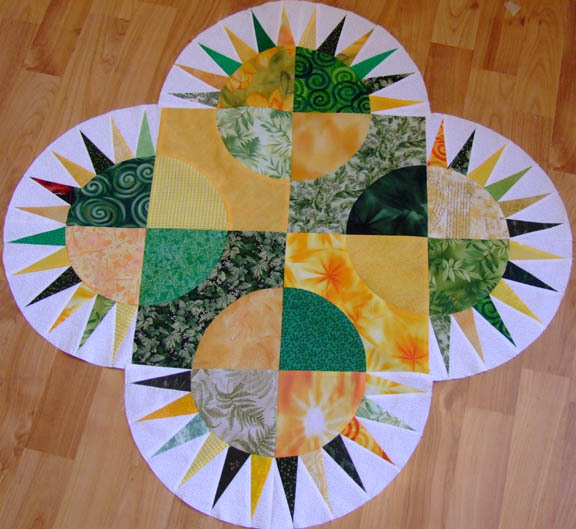 It seemed fitting to do one with mostly straight line quilting, with the walking foot in place. You can see that I have stitched everything in the ditch first (witness the yellow checked spike on the right) and am now going back to add some detail quilting. I am using the edge of the foot as a guide around the patches. This was a spur of the moment decision to add a 1" grid to the circles and I am not unhappy with the look...although it does resemble the top of my mattress a bit. It will be interesting to see how the finished product turns out; I've never met a Maritime Beauty I didn't love! 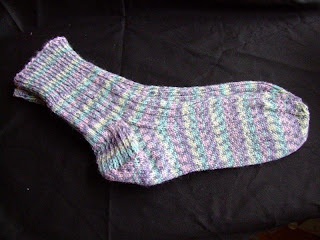 If you are interested in trying your hand at one, the pattern can be found here. PS Bernie, I no longer have your email address but just want to say thank you for all your lovely comments; they are appreciated. This week I am readying for a series of spring workshops. A few minutes ago, I picked up a stack of foundations from the printer and will pack those up into kits. During class, I like to have lots of samples of the project at varying stages of completion to show students. Often when I am between projects - or suffering from Quilter's Block - I take some scraps, choose a colour family, and sew a block of a project I know I will teach at some point. Usually by the time the block is finished, I have my mojo back and am ready to tackle a new design. 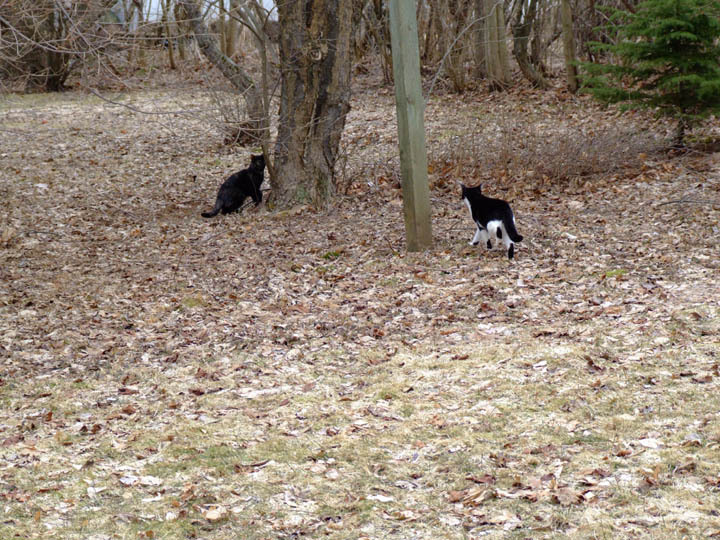 The block is set aside, and added to the next time there is a lull. 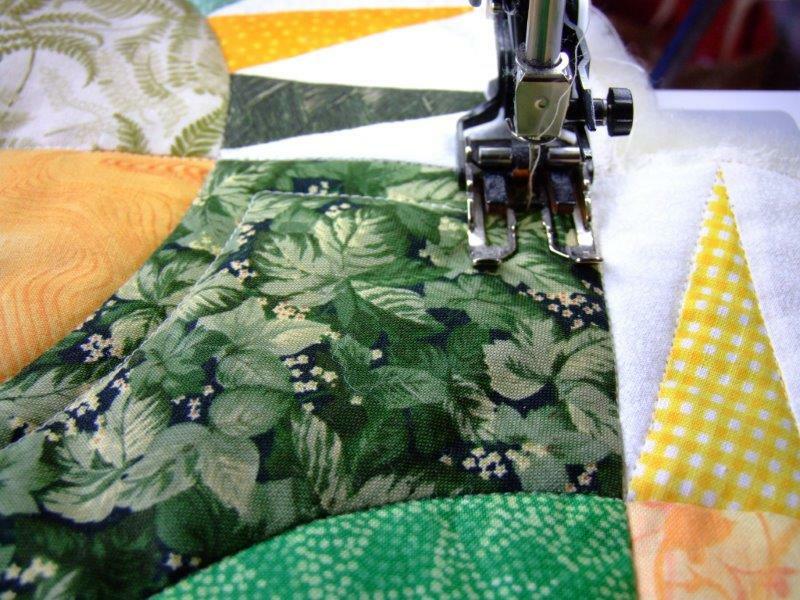 Today I was delighted to find an entire Maritime Beauty, in spring yellows and greens, waiting to be sewn together. What a treat! It's ready now to be basted. I will begin the quilting, but leave a bit to finish up in class. That way the piece will be ready to demonstrate applying the bias binding and turning the inside corners. It's warm and springlike here today so these colours were perfect for my mood. 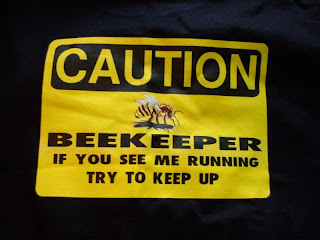 I am off to find a bright yellow print to use for binding. The Mirror Ball Dot assignment is almost finished, so I took a break to bring some other deadlines closer to their mark. 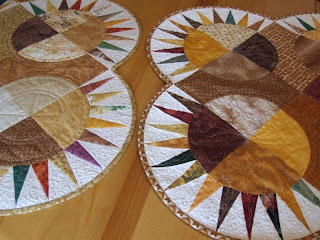 Six quilts were ready to photograph (yikes!) so I set up some inside shots and then headed to the backyard to take advantage of the natural light. Naturally...I had company. It's hard to do anything without Polly's assistance. 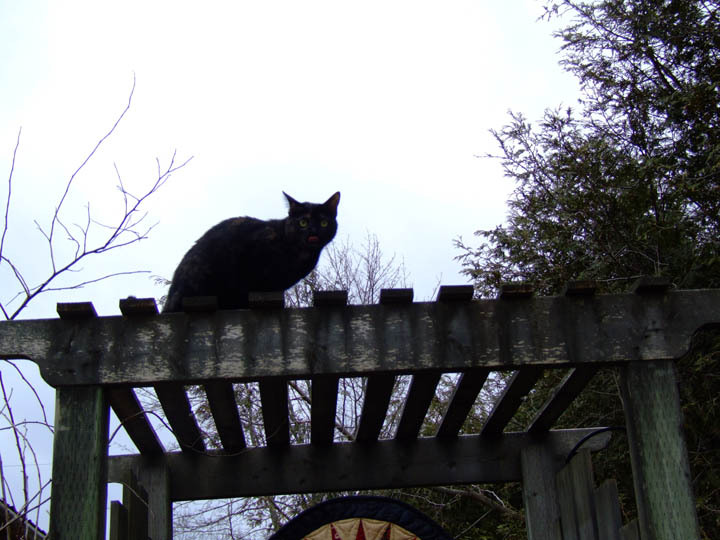 She scouts the area for any distractions. Oh, oh...she has spotted something. She's giving the intruder the evil eye. Maddie!!! 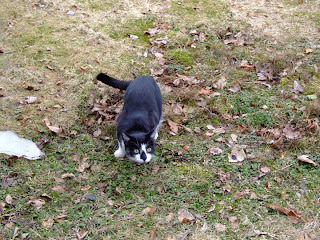 Look out - Polly is about to pounce! 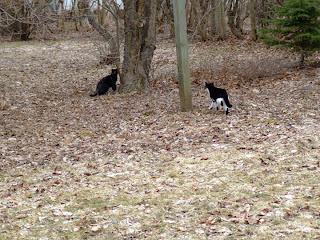 Maddie is not very brave with heights - he likes his feet firmly planted on solid ground.Polly joins him for a good chase around the yard. With lots going on to keep us busy, progress has been slow (but sure) on the Mirror Ball Dot challenge. Although it turned out very different from our original vision (doesn't it always?!) it went together well. 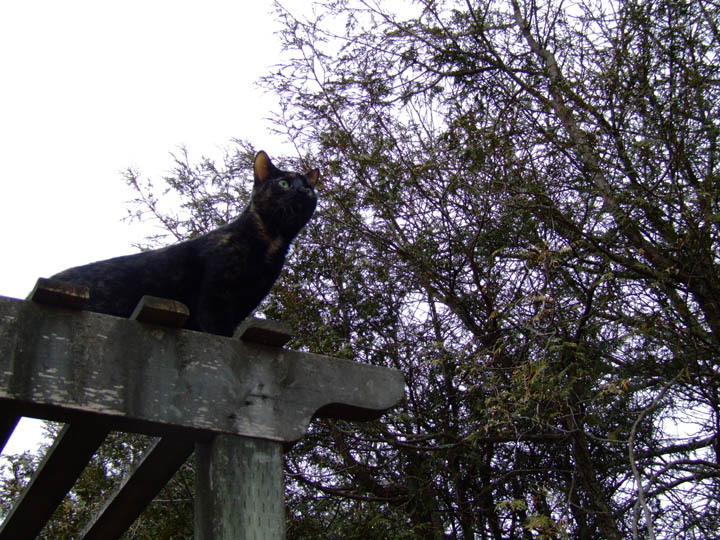 We had some squares left over, and Polly insisted we use these up. She isn't one for waste. 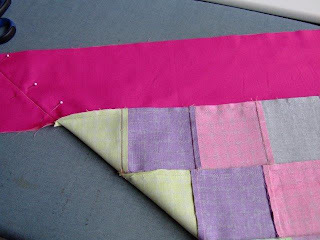 ...to add a mitred border on one side of the second project. From dot to dot. We still have a few, small leftover pieces; we'll see if Polly has ideas for those. 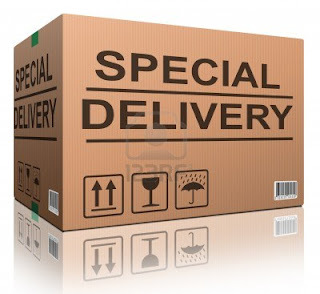 Life is full of surprises...and so is the mailbox some days! Seeing the lid up, we reached in to discover a bag containing a couple of really fun items. Love the bag! And this T-shirt is perfect. 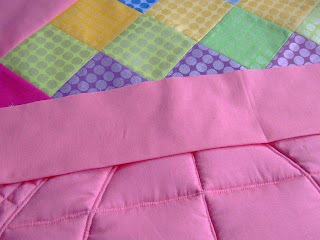 It was with great relief I received delivery notice that my quilt has arrived on time in Paducah. Yay! It was also exciting to see three crocuses in bloom in the garden. Double yay!